“Broadcast radio plays a vital role in metropolitan and regional areas with the provision of local news and local emergency services information, the commercial radio industry will work with Minister Fifield to ensure all Australians continue to have access to robust and reliable, free, live and local commercial radio”, she said. Ten Network chief executive officer, Paul Anderson welcomed his appointment at a “critical time” for the industry. He said: “We would like to congratulate Mitch Fifield on his appointment as Minister for Communications and the Arts at such a critical time of transformation in the sector. Senator Fifield has a strong policy record and we look forward to working with him to ensure that Australia's media sector remains innovative, dynamic and competitive. Turnbull's ascension to PM is widely thought to be a positive step towards much needed media reforms, but the PM and the new communications minister will face a difficult terrain as media owners are divided about the shape those reforms should take. Abbott's government effectively shelved media reform, as no consensus could be reached by industry on the direction to take. Credit Suisse last week issued a note suggesting Turnbull could push it through before the election slated for 12 months time, but others are not convinced. Fifield's role as minster for arts comes with its own challenges too, with former arts minister George Brandis the source of criticism from the Book Council of Australia over the handling of the portfolio, which saw famous writers including J.M Coetzee, Christos Tsiolkas and Nick Cave signing an open letter to have him removed from office. Liberal Senator for Victoria since 2004. Re-elected at the 2007 and 2013 elections. Assistant Minister for Social Services since 2013. Served as a member of the Prime Minister's Leadership Group and the Senate leadership team, as Manager of Government Business in the Senate. Before entering Parliament, Fifeld worked as a senior political adviser to the former Federal Treasurer, Peter Costello, and held senior advisory positions in the Victorian Kennett and New South Wales Greiner governments. 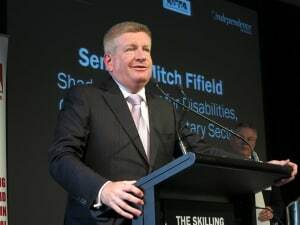 Fifield has also served as a reservist in the Australian Army Psychology Corps. Studied politics at Sydney University. 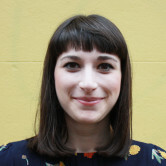 Advisory Board Member for the Yachad Accelerated Learning Project for indigenous students. Founding director of the Sir Paul Hasluck Foundation. Victorian Senator Mitch Fifield has been named as the new minster for communications and minister for the arts as part of Prime Minister Malcolm Turnbull's reshuffled cabinet. Turnbull himself had previously been minister for communications, but stepped down to challenge the Liberal party leadership of Tony Abbott. Fifield was previously assistant minister for social services and manager of government business, representing Turnbull in the Senate, and is familiar with the comms portfolio. The Communications portfolio has been combined with Arts and Fifield will also become Minister assisting the Prime Minister for digital government. Fifield is stepping into a role laced with controversy, with regional TV broadcasters Win, Prime Southern Cross Austereo and Imparja calling for changes to the Broadcasting Services Act. Specifically, the networks want changes to the two out of three rule, which prevents mergers that involve more than two or three regulated media platforms and the 75% reach rule which prevents individuals and companies from controlling a total licence areas that exceeds 75% of the population. Other networks are calling for different changes to the Act including anti-siphoning laws which impact subscription television’s ability to sign sporting rights. Seven CEO Tim Worner said this morning that Fifield is “more than capable” of tackling the choppy waters of the fast changing media landscape. "The Prime Minister has highlighted the remarkable pace of change we are currently experiencing as a nation and across many industry sectors. Nowhere is the pace of change more evident than in media. Minister Fifield has shown he is more than capable of navigating complex policy areas and we are confident that he will bring his considerable abilities to his new role in Communications. We are very much looking forward to working with him on the major issues facing commercial television and the broader communications sector," said Worner. Andrew Maiden, CEO of Astra called on the new minister to make job creation and deregulation top priorities. “Astra is delighted at the appointment of Senator Fifield as Minister and looks forward to working with him to further deregulate the broadcasting sector to create new jobs for Australians. While employment in subscription television has grown in recent years, the industry’s ability to create further jobs hinges on further deregulation of the broadcasting sector,” he said. “The need to deregulate is becoming urgent with the growth of unregulated offshore television streaming services, which make little investment in local television production and create few if any jobs for Australians. Astra is confident that the Federal Government and Opposition understand this challenge and will respond with policies that support job creation in the months leading up the next election,” he added.